Thanks to everyone who came out for last Tuesday’s Parent Meeting. It’s great the see so many people not only show up, but actively participate. The band is fortunate to have this enthusiastic group of parents who are committed to making this an amazing season. You can read the minutes of the meeting by clicking here. Our next scheduled parent meeting will be on Tuesday the 25th. We’ll be breaking into committees to plan competition details so please plan to join us from 7:00 p.m. to 8:00 p.m. in the Freshman Den. 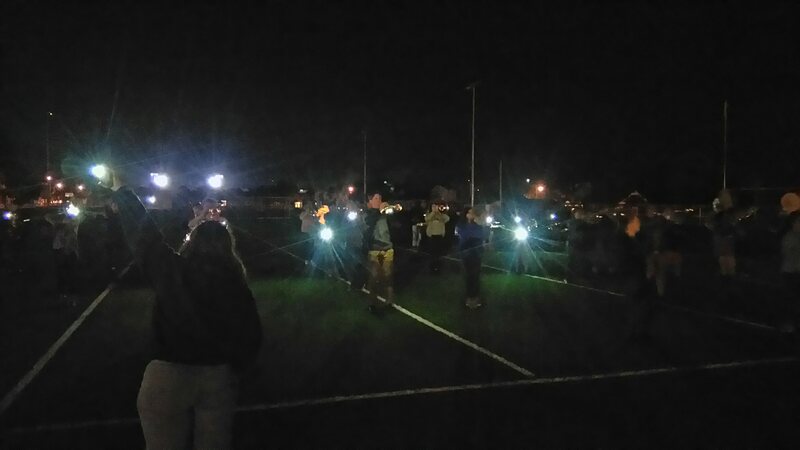 For some unknown reason, the lights went out a bit early on Thursday’s rehearsal. The band was left in the dark for about 15 minutes, but with a little ingenuity and a lot of cell phones, they just kept on playing. We are lucky to have talented people like Collin around. His metalworking skills allow him to create just about anything the band needs. The latest project is side rails that have been mounted inside the trailer that will hold 20 – 2×10’s. 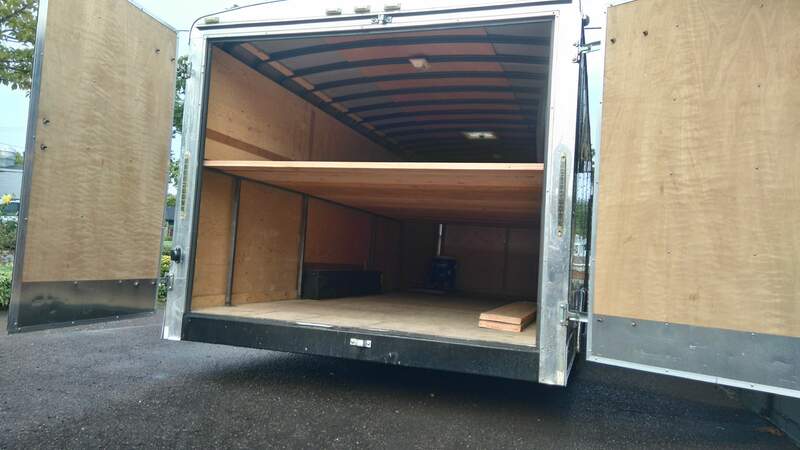 The shelf almost doubles the trailer’s carrying capacity and the boards will also double as benches when the band is at competitions. All adults who accompany the band on competitions need to have a Criminal History Verification on file with the school. You can stop by the school office to pick one up or print a copy from the Mac Band Website (it’s on the Forms & Docs page). To my knowledge, these need to filled out every three years. Percussion and Front Ensemble Sectionals are likely on Friday – Check with your student to be sure. Be sure to place your order for embroidered polo shirts by this Saturday, September 22nd. The cost is $20 and they will be available before the first band competition on October 6th. 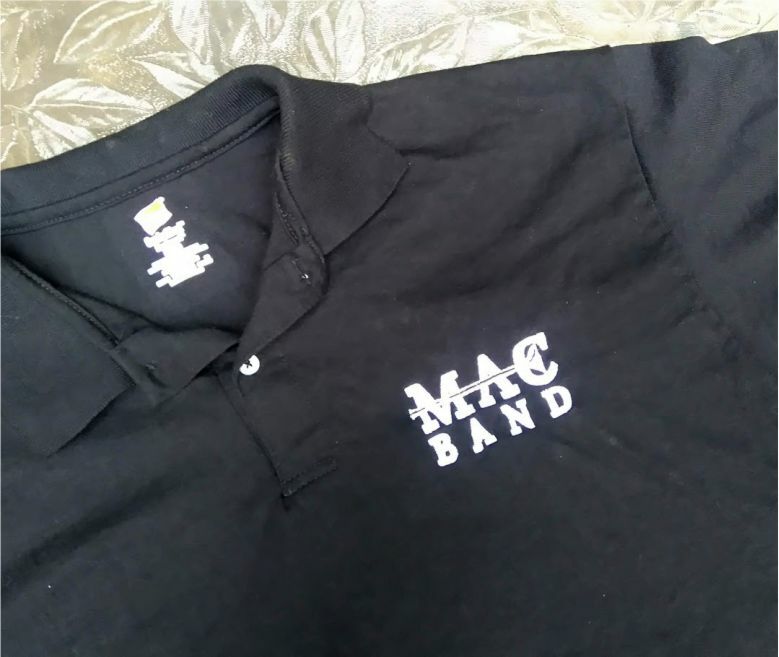 You can order yours on the Macband website by clicking here. Parents who wish to accompany the band to the Pride of the NorthWest competition in Grants Pass on October 13th and 14th will need to make their own hotel reservations. The band will be staying at the Best Western Grants Pass Inn located at 111 NE Agness Ave. 541-476-1117. Rates start at about $110 online, but you may be able to get a better rate by calling them directly. Be sure to let the hotel know that you’re with the McMinnville High School Band.